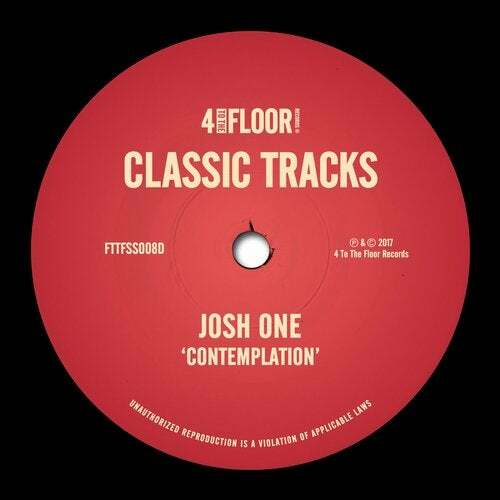 Josh One is a DJ and producer from Los Angeles. He originally rose to prominence in the early 90's and through the 00's sharing stages with a host of acts including A Tribe Called Quest, Sean Paul, Kelis, The Black Eyed Peas, Cypress Hill, Anthony Hamilton and many more. His solo recording debut 'Contemplation' rose to the top of the European charts including #1 in the German Dance charts. King Britt's Funke Remix turned the reggae-esque Original into a funky, organ lead house anthem with a rolling bassline, whilst Mat Playford's Re-Edit of King Britt's mix caters for a much deeper, tech audience with its filtered drops and added synth lines.